Sensory play in the sink allowed us to bring the snow inside! We explored with fine motor color mixing. 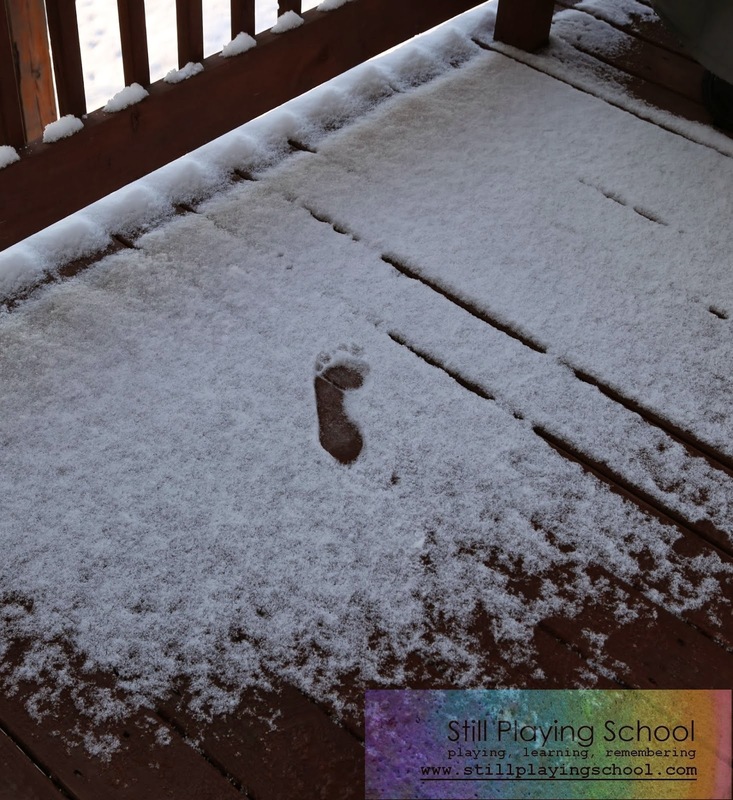 First, I went outside to gather some snow off of our deck. Yes, without shoes, because I'm too lazy to go downstairs to get them and apparently being home for two days makes you lose your best judgement. 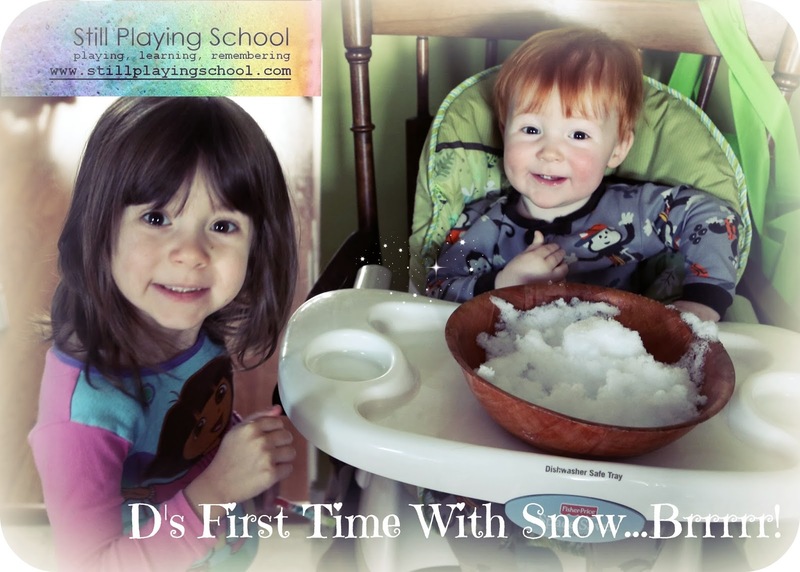 Next we let D check out snow for the first time. 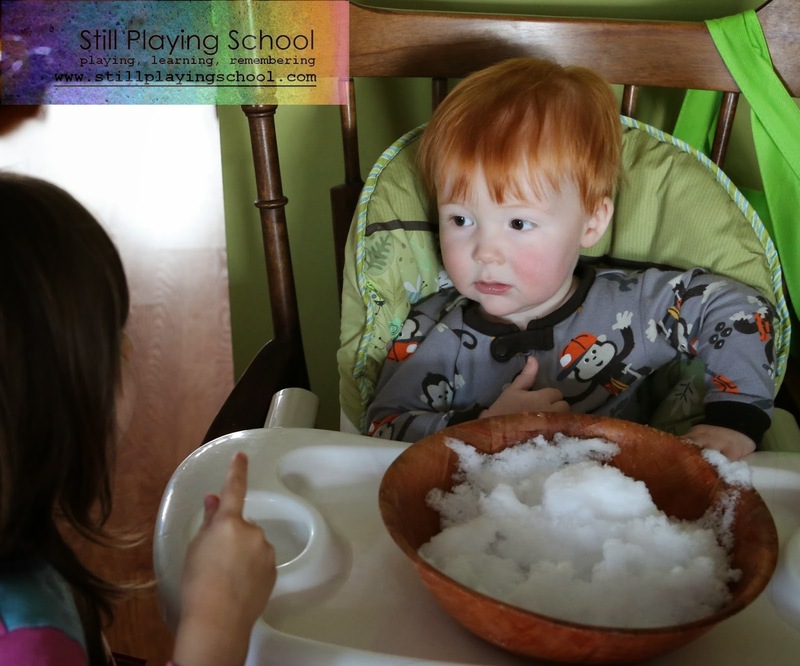 Here E is explaining, "Snow is made out of water, D!" He listens intently. I dissolved color bath tablets in squeeze bottles to make colored cold water (in Christmas colors!) and plugged up the sink. and red! 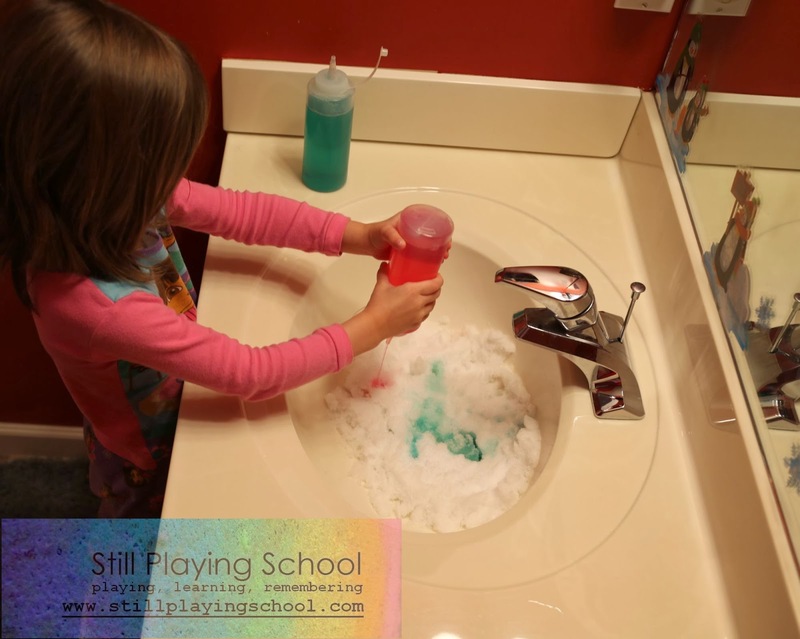 Festive sensory play! 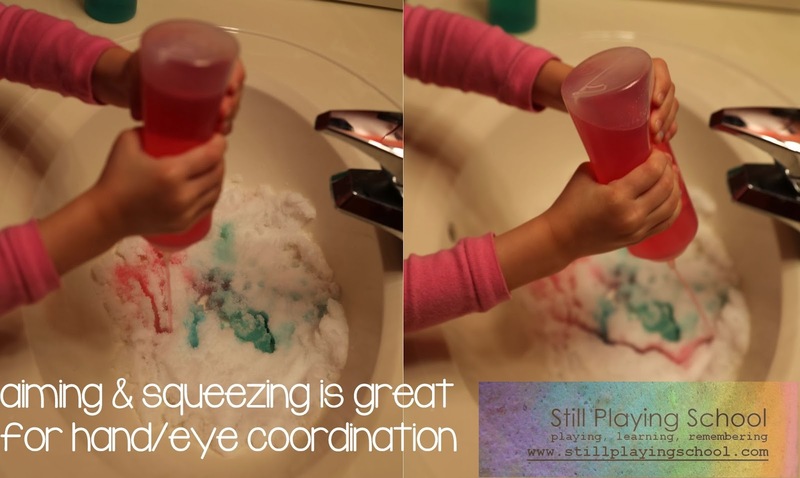 The squeeze bottles are great for fine motor practice muscles and hand eye coordination! 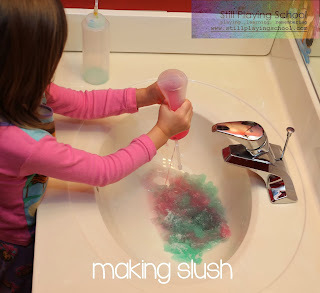 By the end, E had created colored slush! 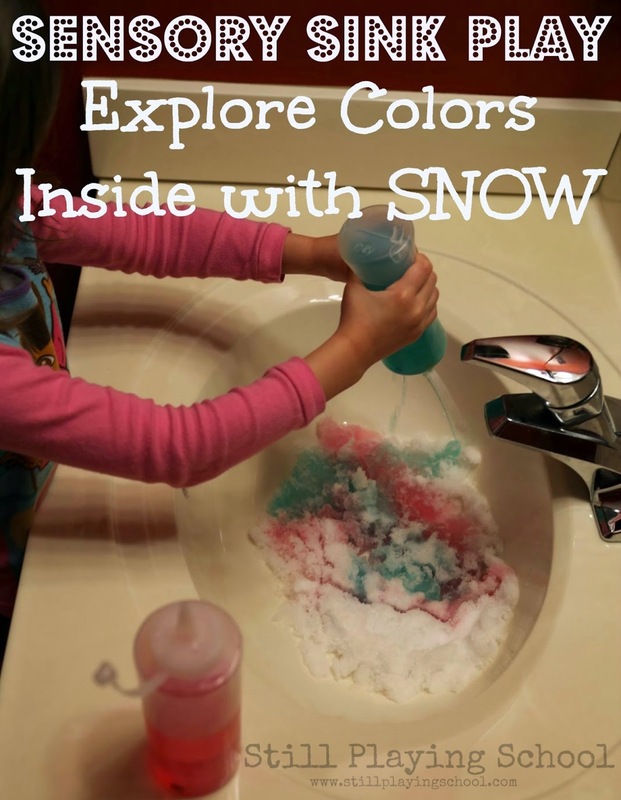 We both loved this activity! Clean up was just pulling the plug and rinsing the bottles! Awesome fun! Way to go! I can't wait to post about bringing snow inside for two that were sick and one that was just too little to go out. Found you on Buggy and Buddy's link up and I am also a new KBNer so hello friend! 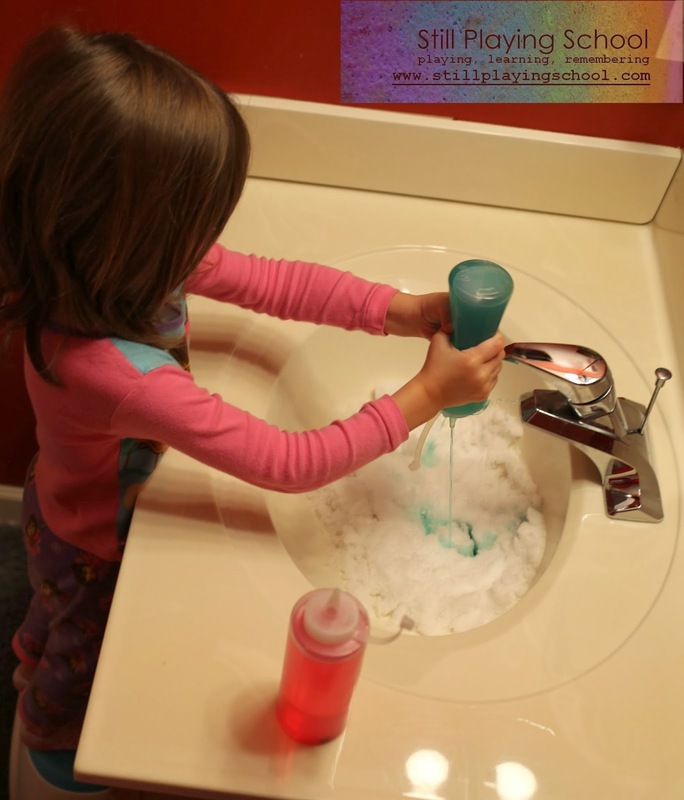 This activity is so cute! 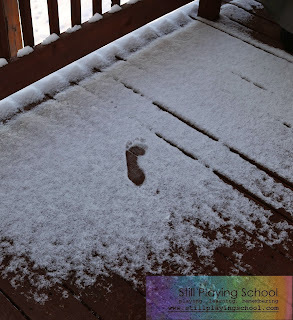 I live in FL and had a snow day with my son and niece this week. I bet they would have loved to have colorful squirt bottles to play with. Maybe I'll try that next and hope they don't try and drink it!